Vin Diesel paid tribute to his late Furious 7 co-star Paul Walker as the action man claimed two top prizes for their final film together at the People’s Choice Awards in Los Angeles on Wednesday night (06Jan16). Walker passed away in a fiery car crash in November, 2013, while he was shooting the seventh instalment of the blockbuster franchise. The tragedy brought filming briefly to a halt, but Diesel and his co-stars decided to press on with the project as a way of paying tribute to their fallen pal. After Furious 7 was released last year (15), it became the highest-grossing film in the franchise, and on Wednesday, it picked up People’s Choice honours for Favorite Movie and Favorite Action Movie. Diesel took the stage to accept the accolades on behalf of his castmates, acknowledging his late friend as he held both trophies in his hands. 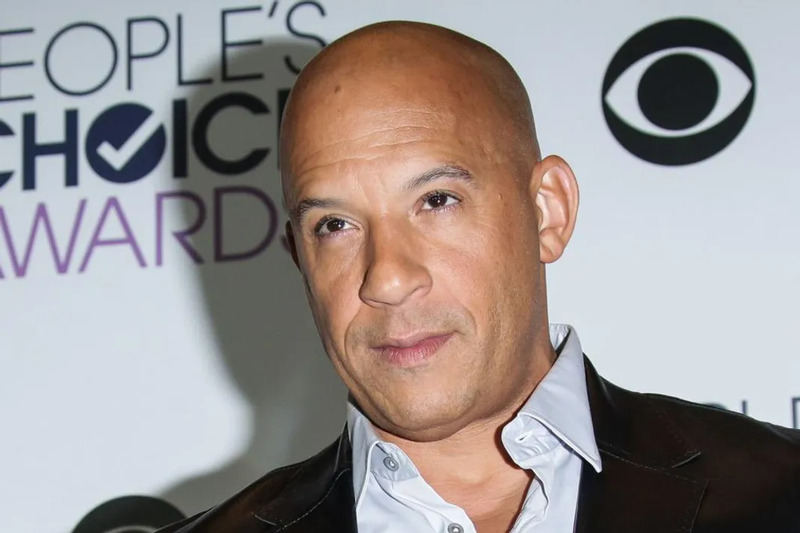 Diesel wrapped up his speech by singing the chorus from See You Again, the Wiz Khalifa and Charlie Puth track commissioned for the Furious 7 soundtrack as a tribute to Walker. Other multiple People’s Choice winners included Melissa McCarthy (Favorite Comedic Movie Actress and Favorite Comedic TV Actress), The Big Bang Theory (Favorite TV Show, Favorite Network TV Comedy & Favorite Comedic TV Actor for Jim Parsons), Grey’s Anatomy (Favorite Network TV Drama and Favorite Dramatic TV Actress for Ellen Pompeo), Kevin Hart (Favorite Comedic Movie Actor and Favorite Cable TV Actor), and Taylor Swift (Favorite Female Artist and Favorite Pop Artist). Meanwhile, comedienne Ellen DeGeneres was named the Favorite Humanitarian for her charitable efforts – through her U.S. daytime talk show the former Oscars host has raised over $50 million (£33 million) for various charities concerning animals, people displaced by natural disasters, bullying, breast cancer research, children’s health and more. The ceremony, hosted by Jane Lynch, featured performances from Shawn Mendes and Camila Cabello, Jason DeRulo, and The Voice winner Jordan Smith at the Microsoft Theater in Los Angeles.